Ignite Digital is an independent media and data protection company offering unbiased advice to effective marketers in Ireland. It has never been more challenging to be an effective marketer or marketing procurement professional. There is a lack of independent and unbiased advice in marketing. With more than 20 years’ experience in the media business and a strong pedigree in digital advertising, Ignite Digital have an intimate understanding of the media supply chain and how digital supports broader marketing objectives in the context of driving business growth. 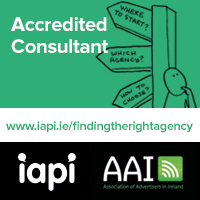 We are fully accredited by the AAI/IAPI to offer media planning and buying and pitch management advice to brand owners in the Irish market.